One of the best things about the Acura brand, is its ability to create the most appealing vehicles in almost any segment. Rarely are Acura vehicles the most powerful, or the most aesthetically adventurous; however, Acura does produce vehicles that are economic, practical, and high quality. And there’s no vehicle in the Acura line-up that embodies these traits than the 2017 Acura RDX. With stiff competition from BMW, Mercedes-Benz, Lexus, and Audi, the RDX still manages to stay at the top of sales charts in the compact luxury SUV segment. With its array of quality standard features, conservative exterior design, and competitive performance, it’s able to draw more and more customers due to its overall practicality compared to the competition. 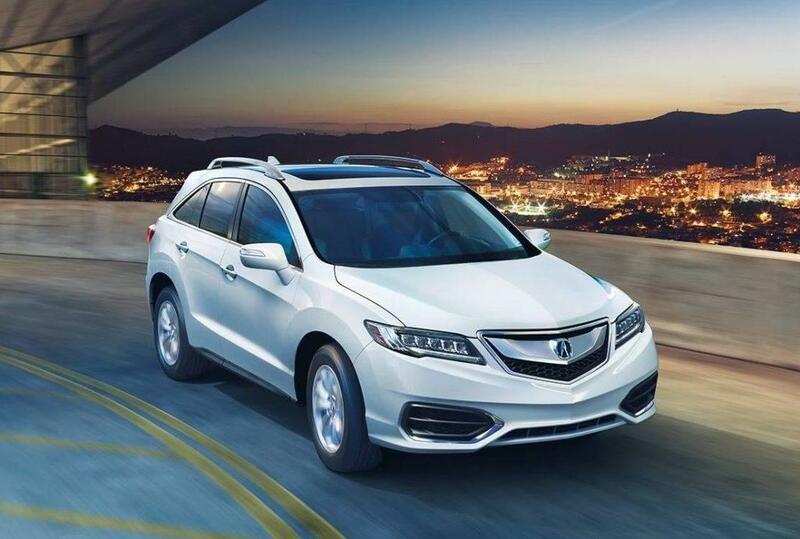 At Acura dealers in NH, the RDX is on a path to become the most popular vehicle sold. If you’re looking to learn more about the 2017 Acura RDX, and why it’s so appealing to compact SUV buyers, keep reading! But if you just want to hop into the driver’s seat as soon as possible, click the link below to view all of Sunnyside’s inventory of new RDX in NH now. With one of the most affordable price points among compact luxury SUVs, the RDX offers incredible overall value based on its offerings. While some luxury cars can have upwards of a dozen or more packages and individual option add-ons, the RDX has just three packages to choose from, simplifying the buying process. Many compact luxury crossovers sacrifice cargo space to incorporate sleek rooflines. But the RDX instead offers 76.9 cubic feet maximum, more than most competitors! While the RDX is not the most powerful option in its class, it does offer the type of performance most buyers expect from a luxury SUV. Thanks to its 3.5-liter V6 engine, the RDX is able to achieve performance that’s on par with its competitors, without reaching into the performance niche that BMW is known for. Instead, Acura’s goal is to create vehicles for the everyday driver who simply wants more from their SUV. With 279 horsepower, the 2017 RDX is a huge performance upgrade compared to many other compact crossovers on the market; however, it’s able to balance this with great fuel economy. The AWD model is rated at a combined 22 mpg (19 city / 27 highway)*, one of the highest in its class. With this performance balance also comes something that many buyers may overlook during initial vehicle research: cabin noise. Even on test drives, this incredible important detail can be forgotten during the excitement of driving a new car or not noticeable due to chatter with family about opinions on the vehicle. So you’ll be pleasantly surprised to learn that the 2017 RDX offers one of the quietest cabins in the compact luxury SUV segment, according to reviewers and professional testers. On top of this, the RDX doesn’t try to be a sports car with its handling. More and more SUVs are trying to mimic sports cars in order to draw in car enthusiasts who may need a practical vehicle. And while there’s nothing wrong with the appeal on a specific performance-focused model, Sunnyside Acura has found most luxury car buyers in New Hampshire are focused on comfort. So without being too smooth, the RDX offers handling that balances exciting and practical. It’s a huge upgrade compared to standard SUVs, but it doesn’t pretend to be a sports car either. Let’s be honest, the reason you’re looking to find out more about the RDX is because you want to upgrade from the bland feeling of non-luxury cars’ interior quality. There’s nothing wrong with saying that because most manufacturers aren’t trying to hide it. For standard vehicles, the race isn’t to the highest quality car, it’s a race to the most affordable car. 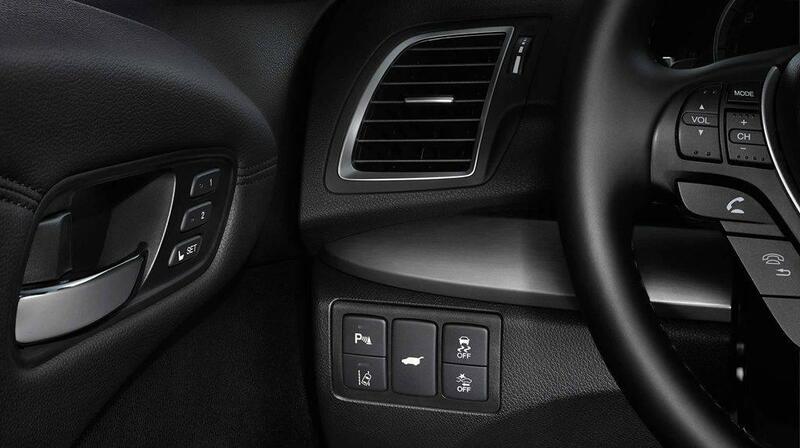 Inside the RDX, you’ll find soft touch materials that are, even at first glance, a huge step up from the hard touch plastic you’ll find in most non-luxury SUVs. Like the exterior, though, the RDX is certainly more conservative with its interior features than Mercedes-Benz, for example. That’s not a bad thing necessarily, as the RDX offers easy of use and simplicity throughout its interior. 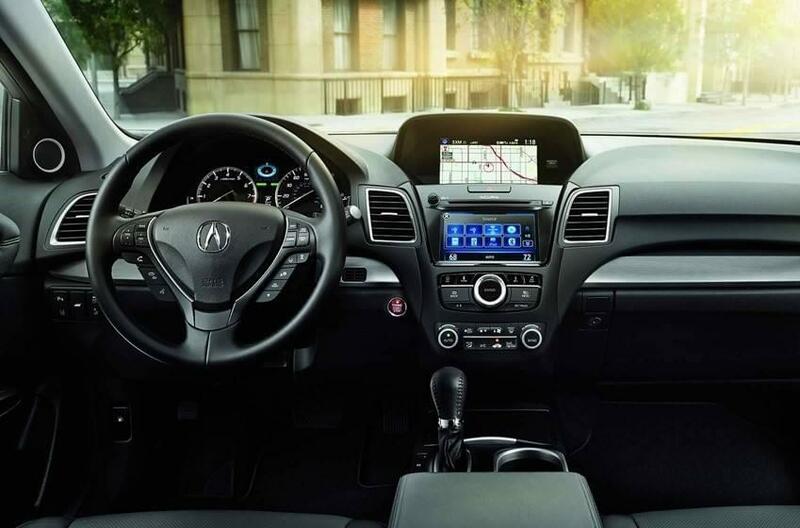 The first thing many first-time Acura buyers note is the quality of the leather and incredible support from the front seats. While they’re not as sporty as the seats found in some competitors’ models, the seats are meant to conform to many different body types. Along with the quality, the RDX goes above and beyond to offer two important things to small SUV buyers: plenty of rear leg room, and a good amount of overall cargo space. To give you an idea of just how well the RDX’s cargo space compares to its competitors, the Mercedes-Benz GLC300 offers only 20.5 cubic feet behind the rear seats. With the rear seats folded, that increases to only 56.5. So how does the 2017 RDX’s cargo space compare to the Mercedes? Behind the rear seats, it offers 26.1 cubic feet. And with the rear seats folded, that number goes up to 76.9 cubic feet. That’s over 36% more cargo room in the RDX vs. the GLC300! AcuraWatch Plus adds a ton of incredibly innovative features for a small upgrade over the core RDX model. These features include a multi-information display built into the gauge cluster, lane keep assist, adaptive cruise control, and a Collision Mitigation Braking System. The Technology Package is a must-have for those that want to elevate their driving experience. Features like a 10-speaker ELS Studio audio system, AcuraLink navigation, perforated leather seats, and advanced safety features highlight this value-focused options package. With the Advance Package, you’ve come all the way to the top of mountain. This is for the buyer that wants it all, and hates compromising. With heated and ventilated seats, 18-inch alloy wheels, remote start system, and front/rear parking sensors, the Advance Package compliments the Technology Package, helping to round out the 2017 RDX as a high-end and high-value luxury SUV. The 2017 Acura RDX is a vehicle that New Hampshire SUV buyers must pursue at Sunnyside Acura. The balance of performance and fuel economy, number of standard features, and incredible upgrades only tell part of the story of this luxury SUV. You owe it to yourself to get behind the wheel of a brand-new 2017 Acura RDX by test driving one at our New Hampshire Acura dealership. Not only does Sunnyside Acura always keep up a great variety of new RDX inventory, but our salespeople are Acura experts who are trained to educate buyers instead of purely sell cars. Our approach to the car-buying process, as well as our world-class customer service, is what makes us one a great choice for Acura car buyers throughout New England. 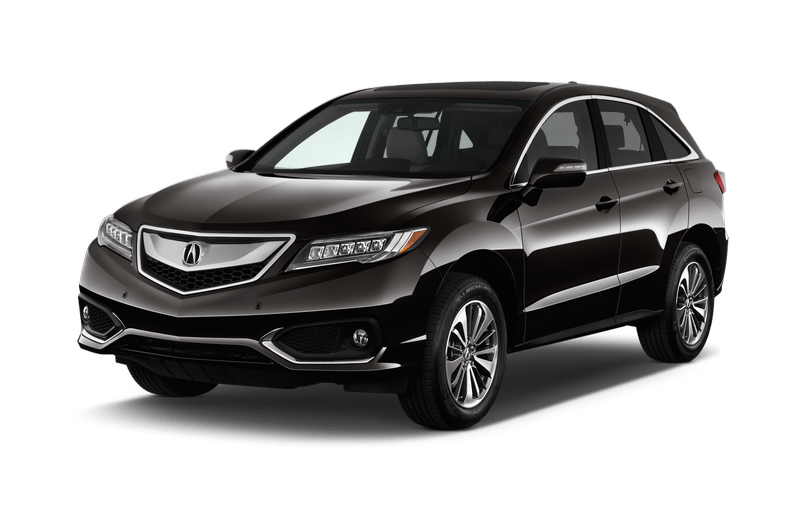 Contact us now or click the button below to view our current RDX inventory to find your perfect match today! Fuel Economy Disclaimer: Based on model year EPA mileage ratings. Use for comparison purposes only. Your actual mileage will vary, depending on how you drive and maintain your vehicle, driving conditions, battery pack age/condition (hybrid models only) and other factors. Click here to view 2017 RDX (AWD) fuel economy data.